Gabriela Cruz joined the University of Michigan faculty in 2012. Her music research interests include opera, nineteenth-century music, music aesthetics and the history of technology, historiography, and music and film. She has taught previously at Tufts University, the New University of Lisbon, Portugal, and the University of Coimbra, Portugal. Cruz’s new book, Grand Illusion: Phantasmagoria in Nineteenth-Century Opera is forthcoming with Oxford University Press; it examines the transformation of opera into a modern art of spectacle facilitated by the introduction of gas light illumination and the development of novel visual and musical technologies of illusion in opera theaters beginning in the 1820s. Her essays and review essays on Verdi, Wagner, Meyerbeer and French grand opera, romantic aesthetics, opera, and early phonography and Portuguese film have appeared in Cambridge Opera Journal, Nineteenth-Century Music, Opera Quarterly, Current Musicology, Journal of the American Liszt Society, the Revista Portuguesa de Musicologia, and in edited volumes published by Rochester University Press, Peter Lang, and Argus Edition. In addition to her work on opera, Cruz is presently pursuing a project on musical comedy in Portuguese-speaking theatres of the nineteenth-century, investigating the intersections of theatre and democratic politics in urban culture. Professor Cruz serves as a Rackham Faculty Ally for Equity, Diversity, and Inclusion; leads the Writing Workshop for graduate students in musicology, ethnomusicology and music theory; and is co-editor of the journal Music & Politics. She teaches courses on the history of opera (19th and 20th-Century), art song, the history of western music, the musics of Iberia and Latin America, and Wagner, as well as seminars on opera, mediality, and aesthetics. 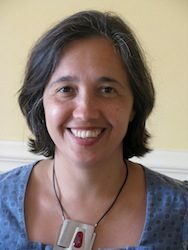 Professor Cruz has served on the Council Committee on Honorary and Corresponding Membership and the Stevenson M. Award Committee of the American Musicological Society, and collaborates with the Centre for the Study of Aesthetics and Sociology of Music (CESEM) of the New University of Lisbon.